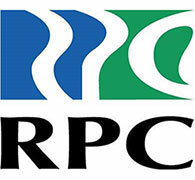 RPC Transport has delivered transport solutions for Australian and international customers for more than 25 years. We have played an important part in many of Australia’s most successful passenger rail systems including Waratah, OSCAR, Millennium, X’trapolis, V’Locity, Sydney Metro and E-Class trams. RPC is focused on supplying unique and efficient solutions that improve passenger comfort and safety for today and into the future. With manufacturing facilities in Australia and South-East Asia, RPC Transport offers the best of both worlds when it comes to internationally cost-competitive supply chain solutions, backed by Australian engineering, excellent client understanding and deep experience in the global transport sector. RPC Transport provides end-to-end solutions from design engineering to component manufacture and assembly, along with through-life support for a vast range of passenger transport systems. Passenger rail interior systems are a particular area of expertise, including seats, LED lights and toilet modules. Our composites capabilities are also applied to interior wall panels, driver cabs and train fronts. To assist in the validating of some of Australia’s most important rail project designs, RPC has extended this capability to include the design and manufacture of full-scale train and tram mock ups. RPC Transport also offers a professional range of complementary valued-added capabilities such as electrical harnessing, testing, skilled resourcing all supported by outstanding project management professionals.